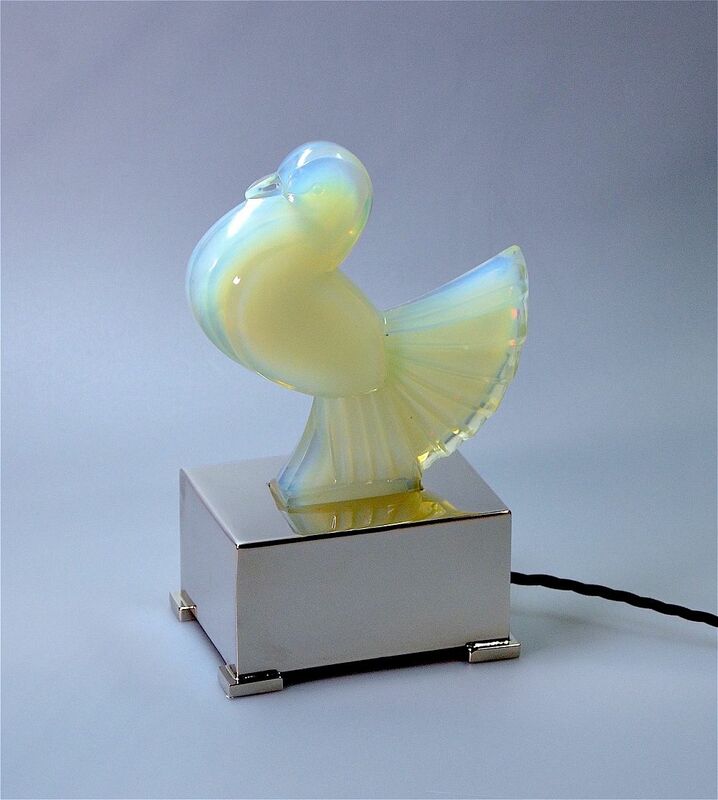 This fabulous opalescent glass pigeon was made by Maurice Model in France during the period 1930-40. It is press moulded and sits in a nickel plated bronze luminiere which we have had custom made. It would originally have sat in a luminiere or in a lamp. The side of the pigeon is stamped "M Model France"
c. 1930 established his “Cristallerie Model” glassworks which were destroyed on 15 June 1940 by German bombs. Production was therefore for a very limited period. He produced press moulded decorative glass for export mostly to the United States. Production included car mascots & other figurines and a limited range of clocks.